VIKING GmbH, based in Langkampfen, Austria, will be renamed STIHL Tirol GmbH as of July 1, 2018. The change of company name is part of the rebranding: As of 2019 the entire VIKING product line will be sold exclusively under the STIHL brand. "At the beginning of this year we successfully changed the first green garden tools, that's to say the cordless lawnmowers, to STIHL orange. The brand change and the new company name, STIHL Tirol GmbH, are now visible in the company's livery", said STIHL executive board chairman Dr. Bertram Kandziora. VIKING garden tools can be purchased from STIHL servicing dealers up to the end of 2018. The STIHL Group pledges that the regulations for VIKING products regarding warranty, spare parts and service will continue to apply after the brand change. STIHL Tirol, as a center of excellence for wheeled garden tools, will continue to manufacture products and develop them jointly with the STIHL founding company. The plant in Langkampfen produces a large proportion of the STIHL cordless and corded electric products and is thus a key member of STIHL's worldwide manufacturing network. Dr. Clemens Schaller, managing director of STIHL Tirol, stated: "In order to meet the global increase in demand for garden tools that we expect to see, we have recently invested EUR 22.8 million in expansion of production and product development at Langkampfen. This record investment creates 100 new jobs and thus sets the course for further growth at our plant in Langkampfen". 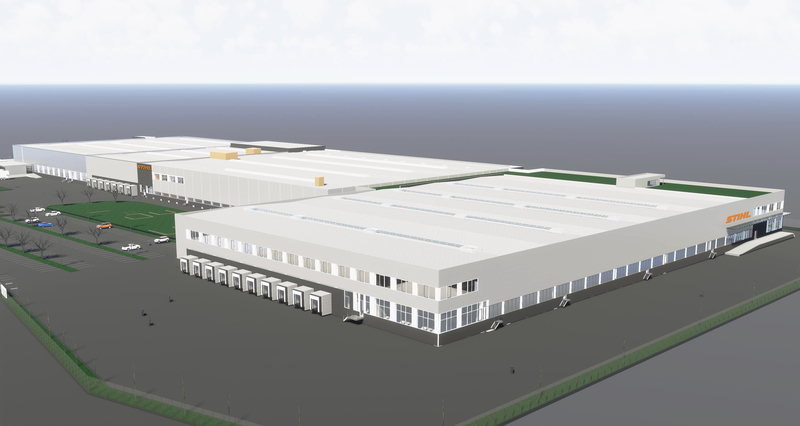 The Langkampfen plant is currently building an extension which will provide 20,000 square meters of extra space. It is scheduled for completion at the end of 2018.